Me being around jewellery is very much like my son in a toy shop, he doesn't necessarily need it but wants it. I used to go crazy over jewellery, but over time, I have tried to cut down and now stick to my everyday jewellery pieces with the few statement ones. My watch has to be my number one jewellery piece, can't leave the house without one and my phone will never replace it (even though I'm guilty of checking the time on it). Doesn't matter what watch I'm wearing, I can't bare to cover it up with my sleeves, I need it visible (Unless it's cold). 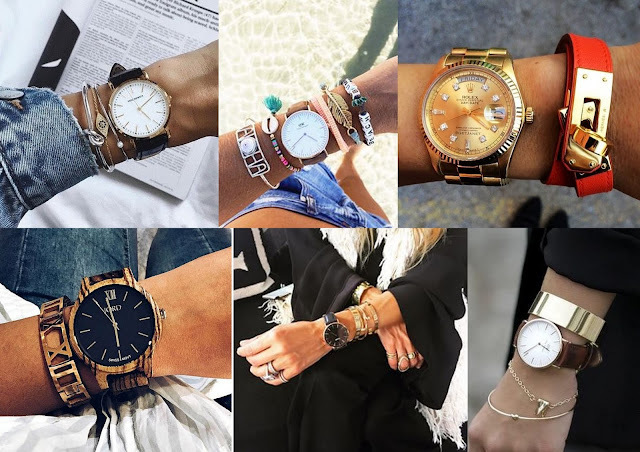 Watches were my weakness at one point, where I used to invest in one nearly every year. However, over the years, I've stopped using my other watches and rely on my everyday watch, which is my Casio mini digital. But it's time to mix it up again, so I was over the moon when JORD wood watches contacted me to do a review on their watches. The watch comes in this fab wooden box which also has a small compartment at the bottom. JORD is an American brand who specialise in unique handcrafted wood timepieces. 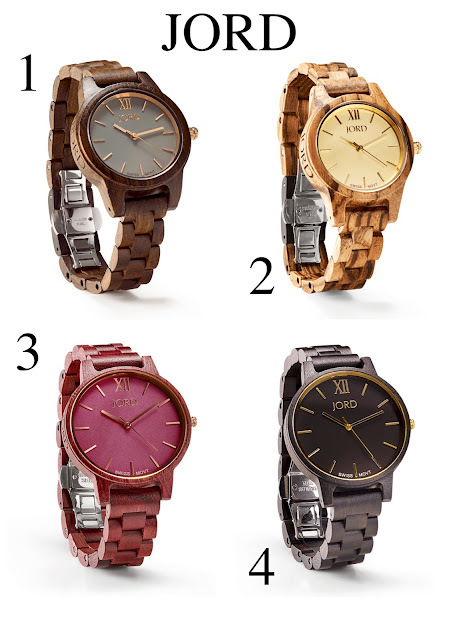 Their watches come in stylish designs and colours for everyday wear and perfect for my casual style. I have chosen the women's watch Cora series purpleheart and mother of pearl which is a great colour for this Autumn/Winter. I love the fact this particular style of watch is automatic so won't require any batteries and made with sapphire glass. Sapphire glass is 'mechanically the second only to diamond as the hardest and most scratch-resistant materials on earth', good to know if you're around kids or not the best at looking after your jewellery. Here are my top four favourites from the brand. At the moment my arm candy is very simple, wearing nothing but a watch or a watch with a couple of thin bangles. Trying to take some inspiration from the below images and loving every single one, how do you style yours? (Competition ends Sunday 30th October 2016) Good Luck!!! THIS POST WAS SPONSORED BY JORD WOOD WATCHES, ALL THOUGHTS AND OPTION ARE MY OWN.